Celebrate the world of dinosaurs in this alphabet of exquisite pop-ups. From the allosaurus to the zuniceratops, discover dinosaurs great and small in this prehistoric pop-up alphabet. 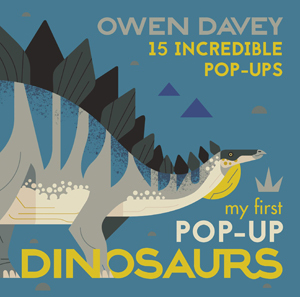 Featuring a selection of popular, unusual and incredible dinosaurs, with illustrations from the award-winning Owen Davey, this is a stylish treasury perfect for any dinosaur fan.